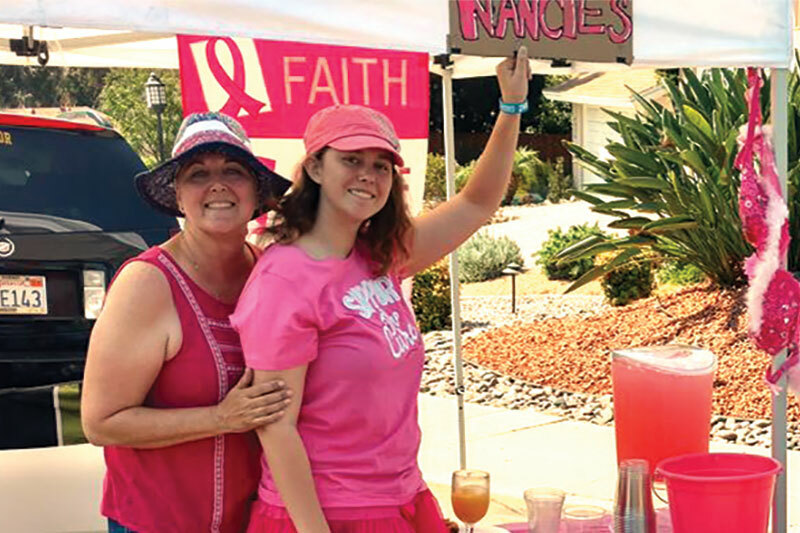 Those viewing the annual Scripps Ranch Fourth of July Parade who have passed near where Ironwood Road and Corridor Street meet have seen a youngster selling pink lemonade for the past seven years. That youngster is Nancie Helders and her lemonade stand is special because she sells the cool drink to raise funds for cancer research. 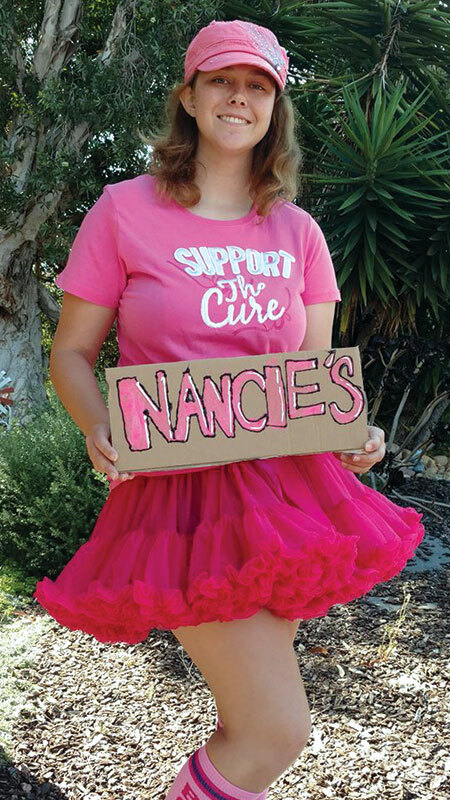 Both of her parents have battled cancer, and Nancie has raised funds for research for all kinds of cancer research including leukemia and testicular cancer. She has donated the funds to the American Cancer Society the past two years. Now a senior at Scripps Ranch High School, Nancie is a Girl Scout, enjoys creating art and looks forward to studying biology in college. But she started her annual fundraising project way back when she was only a 10-year-old. “I wanted to somehow support my mother on the 3-Day Walk because she was doing it for her mother, and so I wanted to support them both by raising money and donating it,” she explained. This year Nancie raised $360 through her efforts. Most of her customers donate more than the cost of the drink. One year a customer donated $100. “Everyone’s been so nice,” she said. Nancie plans to operate her stand on July 4 next summer and enjoy the experience for a good cause one more time before she heads to college in 2019.